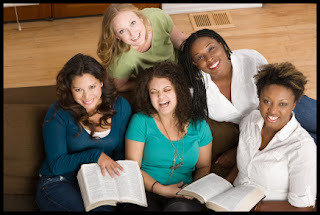 I recently wrote about some of the characters in the Bible that illustrate how highly Christianity views women, and in this post I want to look at some of the instructions that are given in regards to women today. As a wife a woman has a unique call and office to hold. How does God’s Word instruct the husband to deal with his wife? For starters, he is told to view her for what she is: a priceless treasure. It is hard to take the unsaved world seriously when they say that the Bible is a male-dominating book when we see that it actually commands men to not be harsh towards women. Three times in one passage Paul commanded husbands to love their wives. And notice the model that he gave them: as Christ loved the church and gave Himself for it. And in case you didn’t know, the way Christ gave Himself for the church was by both living and dying for it. Paul literally instructed husbands to both live and die for their wives. Peter said that men should exercise understanding towards their wives, realizing that they are the weaker of the sexes. This is not a macho mentality referring to women’s physical strength, but a recognition of the common sense fact that women are more emotional than their male counterparts. While men tend to be brash and rough around the edges, women are more careful. Men need to understand, according to Peter, that women need their husbands to be sensitive and understanding of their different emotions. This verse also shows that Peter said to give honor to the women. Again, how can people say that Christianity is anti-woman when the men were instructed to show honor to the women? What did Peter say would be the consequence of failing to treat women the right way? He said the men’s prayers would be hindered. Here we see another important truth. It isn’t just the men who were defending the women’s honor, it is God as well. God is the one meting out punishment towards the men who don’t treat their wives with honor, and it comes in the form of unanswered prayer. Hopefully the point has been made well that Christianity is not a religion that puts women down. Christianity promises better treatment towards women than any other group. I believe that an alarming number of Christians today fit into a category that I call “Epistle Christians.” If you were to ask these people how much they know about the Bible, they would probably affirm that they are quite familiar with it. But if you were to push a little further, you might find that their knowledge of the Bible is confined to little more than just the epistles. The epistles are the New Testament books of the Bible that were specifically written to churches. These books include the writings of Paul, Jude, Peter, and John (not including John’s Gospel). These epistles are certainly books that Christians should study, for on their pages are many instructions that directly apply to us today. But my fear is that many are settling for this as the extent of their Bible study. Obviously I am not implying that Epistle Christians don’t know anything outside of the epistles. They probably know portions of the Sermon on the Mount, excerpts from the Gospels, and descriptions of the Anti-Christ from Revelation. And what about the Old Testament? Epistle Christians can probably tell you about Adam and Eve, Noah, Moses, Samson, Jonah, David and Goliath, David and Bathsheba, and Abraham and Isaac. Really good Epistle Christians might know more about Daniel, and possibly Solomon. But what do they know of Israel’s history, the judges, or the prophets? Do they understand how the sacrificial system worked? Or even why there was a sacrificial system? Do they see how the Passover served as a picture of the Lamb of God? Can they differentiate between the major and minor prophets? Can they even name the minor prophets? I don’t ask these questions because I think Bible trivia is important. Unless we end up on Jeopardy and there is a category called “Old Testament –ites” then Bible trivia benefits us little. Picking up Bible trivia is something that can happen as the natural result of reading the Bible. My point is not learning facts for facts’ sake. My point is that we need to be students of God’s Word—all of God’s Word—so that we can better understand what He wants from our lives. Being able to recite the Judges is not a sign of spiritual growth, but it is a sign that a person is reading the Bible. The more we read it, the more we will see how all the events of Scripture tie in and apply to our lives. So are you an Epistle Christian, or are you reading the whole Bible? Hebrews is also an epistle, but its human author is debated. Many believe Paul wrote the letter. Others believe Barnabas, Timothy, or some other church leader penned the letter. In 2009 UnKommon Media and Interlinc published a book by Pastor Rick Bundschuh (Kauai Christian Fellowship, Kauai, Hawaii) called Surviving Middle School (A Hilarious Guide That Will Help You Avoid Being A Dork). I received the book from Interlinc because, at the time, I was a member of their organization that sends CDs, books, and other media-related resources to people in student ministry. I read the book in 2009, and I was so appalled by what I read that I cancelled my membership. The book got shuffled around and eventually lost in my junk drawer, and I just recently re-discovered it. When I did, I was reminded about the book’s content, and wanted to share a quick reason why I think books like this are killing some ministries. While the book doesn’t say this, I assume that the purpose is for me to use it in student ministry. The author says that he is writing to middle schoolers (or junior high students), but the book is being sent to those of us that work with students in the name of “resources.” I can’t help but wonder how many churches in this country used this book in Sunday school or small group settings, or ordered this book and gave it to students. And of the churches that did, I wonder how many parents were first made aware of the content of the book. I know that it is not a curse word, but frankly, there are a lot of people that don’t want to hear it, and there are even more people who don’t want their 6th graders hearing it. But that is not my only problem with the book. Bundschuh felt the need to write about wet dreams, menstrual cycles, and “hair growing in some very private places (p.31).” I guess he didn’t think these kids could survive middle school without him writing that. For some reason he describes a girl named Tami who was “already developing curves in elementary school. By the time she hit eighth grade she already looked like a young woman (p.26).” That is in his section where he talks about how some girls get jealous that other girls develop faster than them, and he went into a little too much detail about girls upper-body development. Here is my real concern. When churches take it upon themselves to focus on sexual education, biological development, and a general usurping of the parent’s authority in their children’s lives, then the church is missing its reason for existence. Any student minister that thinks he knows better than his students’ parents and uses this book without their consent is crossing a line. This book goes right along with the vain, heretical entertainment-driven student ministry. Can you imagine picking your sweet 6th grade daughter up from her Sunday school class and asking her what she learned about. You expect her to say Jesus, Samson, or Jonah, but instead she says, “Wet dreams.” I can promise you I would be having a talk with that teacher. Do you think our grandparents heard this trash in church when they were growing up? And yet, somehow, they were still able to survive middle school (and procreate!). We have pushed the envelope so far that this filth is now considered to be a good resource. Ultimately, this is why churches are dying. While some churches are trying so hard to be hip, relevant, and new, they have replaced the message of the blood of Christ with the message of beer, bedroom toys, and bad words. Ministers, do you want your church to have power? The formula is no secret; just determine to preach the message of Jesus Christ and Him crucified (I Corinthians 2:2). You might not have a crowd as large as the guy who preaches from his bed or with a beer bottle in hand, but you will have the power of God unto salvation (Romans 1:16). By the way, when I cancelled my Interlinc subscription, I did hear back from them. I got an email saying, “Thank you for your feedback. Click here to claim your Surviving Middle School DVD. They still didn’t get the point. I hope you do. On September 26, 2006, the House of Representatives voted on House Concurrent Resolution #222. 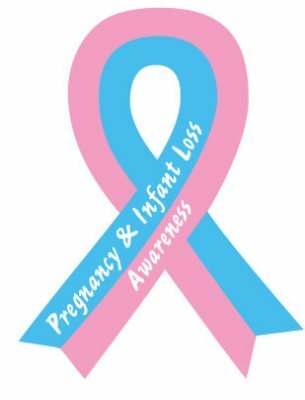 This vote gave Congressional support to what is now known as National Pregnancy and Infant Loss Awareness Day every October 15th. For years people who suffered through pregnancy and child loss mourned in silence. Many people believed that this was only a private matter never to be discussed in public. Women who miscarried were expected to quickly get on with their lives, no different than getting over a cold. But in recent years this has changed, thanks in part to October 15th. This effort has helped raise awareness of how common and painful child loss really is. All the science shows us that the life that is forming inside the mother is unique, a living person who is genetically complete with his own DNA and fingerprints. To lose a child in this way is just as damaging as losing any other loved one. So this October 15th, if you have lost a child, we are inviting you to join people all over the country in lighting a candle at 7:00 PM as we remember our babies. *When is a baby considered a life? *Is my baby really in heaven? *What will my baby look like in heaven? *Is there an age of accountability? *Is adoption really a good alternative to abortion? *Can I be forgiven for my abortion? Asleep in Heaven's Nursery can be ordered here.